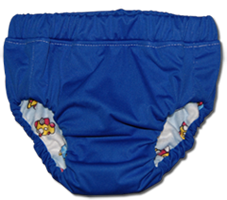 Not every child needs training pants during potty-learning and for many, going straight to underpants is ideal. But for those that do need them, full-time or only during outings, this pattern will create a budget and planet friendly alternative to disposable trainers. 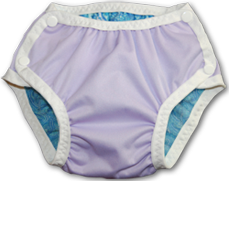 I created the Potty Dance Pants pattern to have the features I found I needed most when my daughters potty-learned. 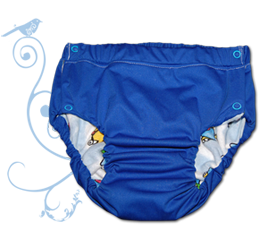 They are easy enough for my toddler to put on and take off by herself, they fit closer to the body than most commercial training pants fitting lower in front and higher in back, they have absorbent fabric inside so toddlers feel when the pants are wet, and, most importantly, they are waterproof and reliable enough to use when away from home. This pattern won't revolutionize potty-learning. But they will keep a potty accident from turning into a potty catastrophe. 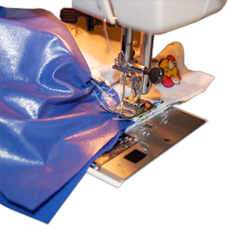 A .pdf pattern file containing 23 pages of full-color photographs with very detailed written directions and pieces to print full-sized patterns in three sizes. 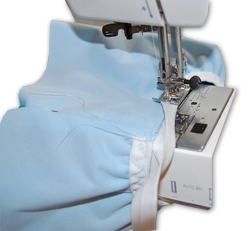 This pattern includes three sizes (based on commercial clothing size): 18-24m, 2T-4T, 4T-6. 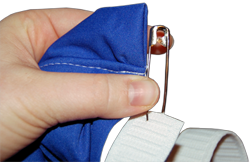 Serger and snap directions are provided but a serger and snap-press are completely optional. New ideas and options continue to be added to the pattern through an online link. Just in case you need help, email-support is a click away. A .pdf pattern allows the use of full-color photos and diagrams and detailed instructions that would be cost-prohibitive in per-printed patterns. NOTE: Potty Dance Pants are designed for daytime use. They are quite narrow through the stride to be more underwear-like. While some customers have used them successfully overnight by adding additional absorbency, your results may vary if you choose to create pants for overnight use. This pattern file is quite large. Average download time for DSL/cable is about 2 minutes. Downloading with 56Kb dial-up connection may take up to 1/2 hour with an uninterrupted connection.